Japanese herbs, or Kampo (literally means “Han Method”), was originally introduced from China during the Han Dynasty more than one thousand years ago. Since then, Japanese herbal practitioners have developed unique formulas and therapeutic approaches to treat a wide variety of ailments. Kampo formulas combine medicinal herbs that exist in nature, such as leaves, flowers, buds, stems, branches, plant roots, as well as fungi and minerals. Specific herbal remedies are produced by combining different types of herbs and ingredients in accordance to the patient’s condition and constitution. All ingredients are tested for safety and effectiveness and available in easy-to-consume forms such as capsules, granules (powders) and teas. What types of conditions can benefit from Japanese Herbs? Japanese herbs has been shown to benefit a wide variety of medical conditions, including: PMS, irregular menstrual cycle, menstrual cramps, menopause, morning sickness, infertility, impotence, low libido, asthma, diabetes, anemia, high/low blood pressure, ulcers, anxiety, stress, fatigue, depression, insomnia, constipation, diarrhea, hemorrhoids and indigestion. At iDo Holistic Center, nearly 40% of our clients come for reproductive issues, which tend to be more common for people who live or work in stressful environments. 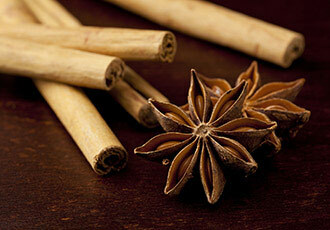 Our Japanese herbs comes from the well respected Yama’s Herbs. Kampo herbal regimens from Yama’s Herbs are formulated on an individual basis with the goal of restoring balance. In contrast to Western medicine, Japanese herbs regards illness as a deviation from a balanced way of life. When you visit the iDo Holistic Center, a trained herbal specialist will assess your health through a series of tests based on the concept of “sho,” which involves observing, listening, touching, smelling and questioning, followed by a physical examination. 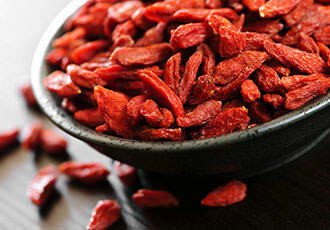 An herbal formula is then determined by the results of your “sho” evaluation. While it may take several sessions with your herbal specialists and adjustments may be to your regimen, the main objective is to help you return to and maintain a balanced existence. iDO Center also offers Japanese acupuncture, which can be combined with Kampo for a complementary approach. How do we make your Japanese herbs? Our Japanese herbs come from the well respected Yama’s Herbs. 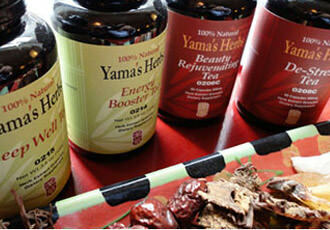 Kampo herbal regiments from Yama’s herbs are formulated on a case-by-case basis with one goal in mind: balance. Unlike Western medicine ideology, herbal medicine laws identify illness as the patient’s deviation from a balanced way of life. Upon visiting the iDo Holistic Center a trained Herbal specialist will determine your health through a series of tests based on the concept “sho,” which involves seeing, hearing, touching, smelling, and questioning followed by a physical examination. Signs and symptoms are then interpreted according to the ancient theories of the 8 disease states (2 of which are yin and yo, called ying and yang in Chinese medicine)and the 3 substances (such as qi, the life energy of the unified body and spirit.) 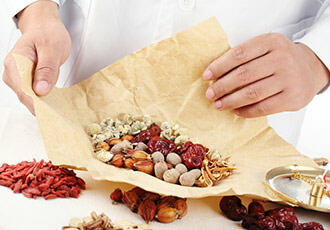 The herbal regiment is then determined by the results your “sho” evaluation. While may take several sessions with your herbal specialist and some mild adjustments to the herbal remedy the main objective is to help you return and maintain a balanced existence. Don’t allow daily stresses and bad habits compromise your health. Herbal treatments have been helping people around the world for centuries, so Isn’t it about time you took advantage of the knowledge these herbal practitioners have passed down for generations. Stop by the iDo Holistic Center and let our specialists help you enjoy life to the fullest.